Home Nerd/Geek Archive by category "Blog/Website"
“Twelve years ago,” I said in my last post. That got me wondering how old my oldest post was. Turns out, my first post is exactly thirteen years old. No hockey, no mountain biking, no gym, no general running around doing stuff. 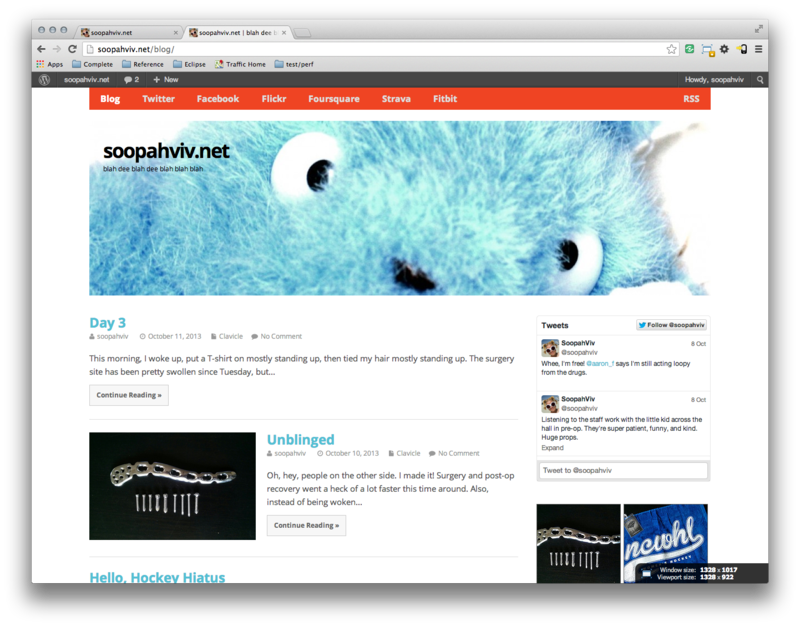 I needed to find something sedentary to do, so I gave my blog a facelift. All systems functional?! Oh, on 5/13 they were. Gee, what a useful status page. 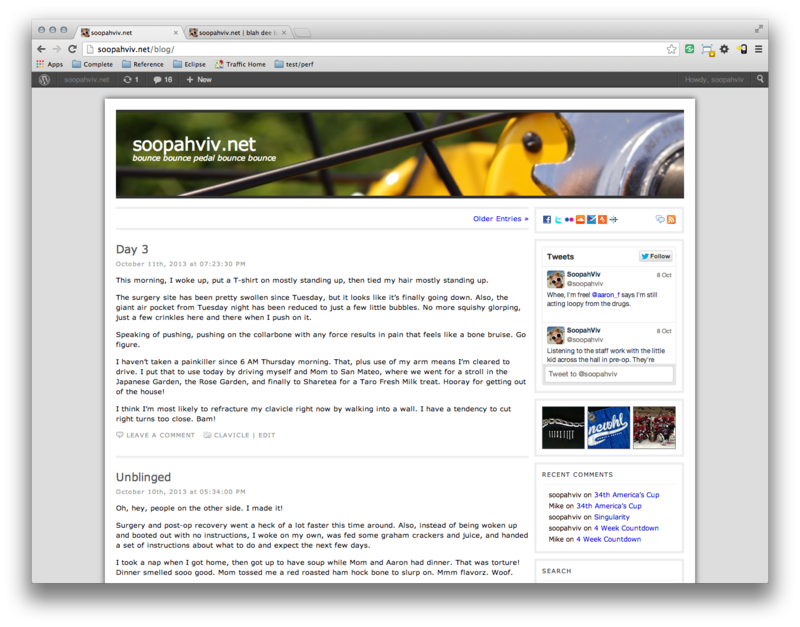 I don’t blog nearly as often as I used to. And why? Because all the random things I used to formulate into paragraphs end up as single line Tweets. I almost posted this as a Tweet.